What is Pulsed Electro Magnetic Field? 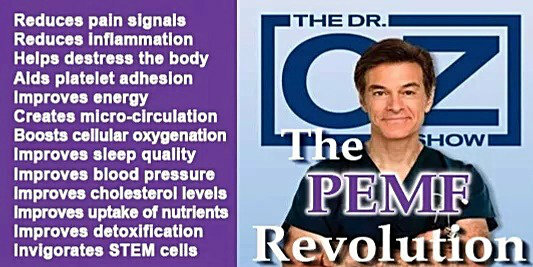 PEMFs work to: Reduce pain, inflammation, the effects of stress on the body, and platelet adhesion. Improve energy, circulation, blood and tissue oxygenation, sleep quality, blood pressure and cholesterol levels, the uptake of nutrients, cellular detoxification and the ability to regenerate cells. Inside each cell of your body is an “energy factory”. Surrounding this energy factory is a membrane of energy pathways through which nutrients go in and waste is expelled. Over time, these pathways are blocked by toxins so the cell can’t take in the nutrients it needs. This causes the cell to “deflate” and to not function as it should. Have you ever seen someone beat the dust out of a rug? When they hit the rug with a stick, all of the dust and dirt is knocked into the air. This is sort of like how PEMF systems work. The magnetic current “hits” the cell and knocks the toxins free. 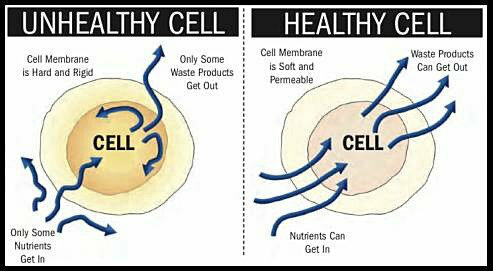 The cell’s nutrient pathways are now clear and the cell can begin to take on nutrients again. The other thing PEMF does is recharge deflated cells. Each cell has a positive charge outside and negative charge inside. If the charge inside is less than the charge outside it deflates. PEMFrestores the electrical balance. It’s kind of like when you pump air into a deflated ball. The pressure inside the ball is greater than the pressure outside so the ball inflates big and round. Visualize this treatment as a life-energy-boost that mobilizes all your cells to the max capacity. PEMFs work to: Reduce pain, inflammation, the effects of stress on the body, and platelet adhesion. Improve energy, circulation, blood and tissue oxygenation, sleep quality, blood pressure and cholesterol levels, the uptake of nutrients, cellular detoxification and the ability to regenerate cells. Clinical evidence shows that PEMF therapy reduces pain associated with trauma from accidents, sports injuries, surgeries and burns as well as from disease and degeneration. PEMF therapy improves these conditions in many different concurrent ways including mechanical, chemical, electrical and magnetic processes within the cells of the body.